4 Bedroom Detached House For Sale in Liverpool for £375,000. The Gables presents 30 charming and distinguished new homes gathered around an attractive tree lined street. Impressive frontages and high-quality landscaping provide a stunning setting for each of the exquisite new homes. FP Homes are delighted to present to you The Gables, an outstanding development of 30 exclusive houses, beautifully designed with modern family living in mind. 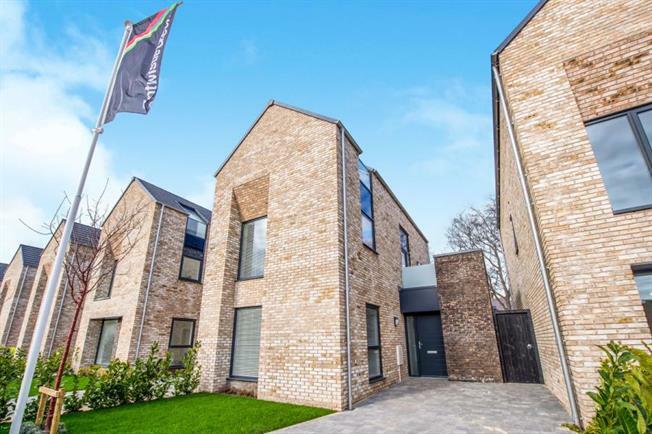 Set within an attractive tree lined street, each house provides the sought-after combination of idyllic contemporary living with traditional charm and excellent outside space. Spacious rooms, large feature windows and high ceilings create properties with all the familiarity and charm of traditional properties, but with the modern benefits of new-build housing. Incorporating new technology, these new dwellings will be efficient and low-maintenance, and each with a 10-year insurance backed CRL warranty. Whether you are looking to take your first step on the property ladder, or searching for a larger family home, The Gables could become your perfect home. Designed to exacting standards and with security and safety in mind, the well-proportioned and generous dwellings offer ample space for existing or growing families. The Gables is nestled within the hugely popular area of Crosby, and idyllic combination of being only a short walk away from the thriving village centre, and a short journey from all the attractions of Liverpool City Centre. Crosby features a wealth of local amenities making it an ideal place for family living. From Crosby Beach with the famous Anthony Gormley Iron Man statues, to the Marine Lake with its Watersports centre, numerous parks, the prestigious West Lancs Golf Course, a cosmopolitan village with shops, cafes and restaurants, and the excellent and highly regarded State and Independent schools, Crosby really can offer the best of all worlds on your doorstep. The Gables also boasts convenient and fast road and rail links - both Waterloo and Crosby train stations are only a short distance away, and the nearby A565 giving easy access to the region's motorway network -making for easy commuting.